By now, CPI, unemployment and RBA forecast downgrades are becoming old news … The Consensus view is that the RBA will moderately downgrade its forecasts, but not capitulate on its rate stance next Tuesday. On the RBA’s narrow list of criteria for setting rates, the economy is evolving within its desired parameters. The unemployment rate is at a cyclical low of 5% (as forecast), and CPI inflation is around 1.75% (also as forecast). And we also know that in the “Lowe-era”, the Bank is more macro-prudentially minded than not. Therefore, it is willing to suffer growth and inflation undershoots for the sake of not cutting rates, and not inflaming the household debt situation. In the extreme, this means that even if GDP growth were to slow to 1-2%, and inflation follow suit, the Bank would not cut rates. But there might be a case for easing in the remote scenario where GDP growth turns negative. We can see the merit in this argument. But what if GDP growth were slowing very sharply, to the point where it is unclear whether it will turn negative or not. And what if at the same time, the commercial banks were conducting out-of-cycle rate hikes? 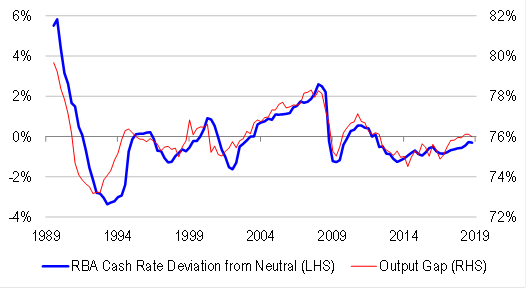 We think that in this scenario, a rate cut is not just a possibility, but a likelihood. Indeed, multiple rate cuts are likely in this scenario, because monetary transmission is impaired. 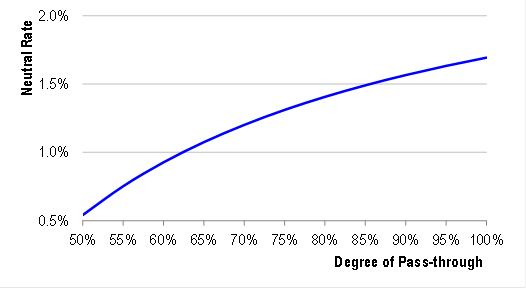 So far, the money market is only pricing in a 50% chance of a 25bps rate cut this year. We think that it has not gone far enough. Looking at the data, there are reasons to be concerned, even for the hawks at the RBA. Real GDP only grew by 0.3% in 3Q. In 4Q, things look worse. Net exports could subtract 0.5-0.8% from GDP growth. Residential investment likely fell. Infrastructure spending probably plateaued at a high level. Consensus is looking for 0.7% real retail sales growth – but this assumes something very generous for December, when we already know from higher frequency data that spending was weak. 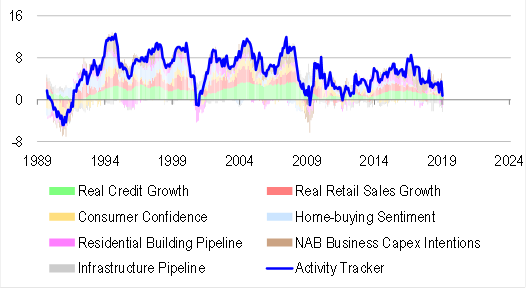 For example, the NAB cashless retail index maps to an 0.3% contraction in nominal retail sales, while vehicle sales plummeted over the month. In lieu of all these data points, if 4Q can repeat 3Q’s performance on the back of inventory build and other miscellaneous spending, this will be a very good outcome! But even so, 2-quarter annualized growth will only be running at 1.2%, well short of the RBA’s forecasts. 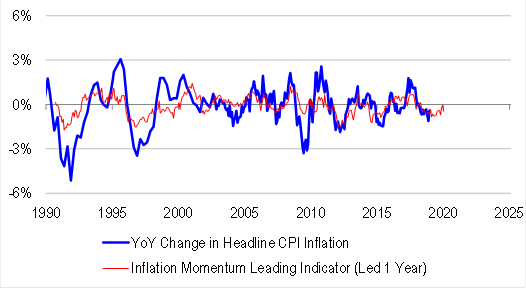 Slower growth leads to slower inflation. 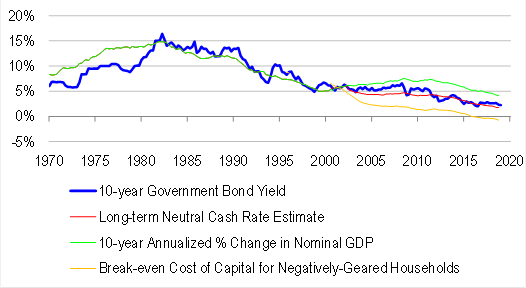 And slower inflation leads to higher real borrowing costs, even before we factor in out-of-cycle rate hikes. So financial conditions are tight, and possibly tightening in the absence of intervention. Which is falling due to impaired monetary transmission, towards 1.1% from 1.7%. Also, if our activity tracker and now-casts are anything to go by, the output gap will not stay at zero. It will likely widen, adding to the cyclical downside to rates. We think the RBA is well aware of the risks. The Board’s Harper valiantly attempted to defend the status quo a few days ago, but the bond market gave his comments little credit. At some point, the money market will compel the RBA to cut. Probably not yet. But the pricing is becoming too dovish to ignore. And we expect the dovishness to continue, as Australian yields fall relative to US yields, which themselves are now falling on a more dovish Fed. Some Bank officials might think that the credible thing to do is stick with the script. But we think there is more credibility value in changing the script now. The must do it to fix thing now! They must do something before the rest of Australia looks as sad as that nice Mr Hayne. Oh wow. That Hayne guy needs to be sacked for such disrespect! Friedenbrain reminds me of that Ivy league highschool kid who got expelled from Sydney grammar for dealing and is now trying to make friends at the local public high school. No one wants to be seen associating with him, but he still has that smug but stupid sense of superiority about him. Meanwhile the lads are trying to coax him behind the bicycle shed for a good beating. Labor will go back in, guns blazing, to enforce the Royal Commission recommendations as soon as they are in Government. It’s an easy win for them. It doesn’t matter what our current caretaker parasites do with it. The ALP can stand up and honestly say, “Look at the damage fraudulent lending has done to our economy and to households. We can not let this happen again.” and make a complete mockery of Scummo’s response no matter what it is. You can’t make strawberry jam out of a turd, but you can sprinkle glitter on it. Unless, as DLS alludes to, the report doesn’t say what we think it will, and…the RBA know it! Even if it contains nothing more than we already know from the Commission hearings, it’s all over. I don’t follow how it could make a difference? Whatever the Royal banking Commission has to say about the RBA, or any of the banks, will not change that a massive Australian housing bubble exists and has begun deflating. Yeah, I agree, Ummester. We have a bubble in full reverse. People don’t want to borrow (as WBC and NAB executives have noted). Nearly half of mortgage applications are being knocked back. Dog boxes are now in the doghouse. To remove macroprudential controls and cut rates enough to get people back in, balls and all (Reusa style), is a bridge too far. Doing so would cause the currency to crater, blowing risk right out through the far side of hell, and probably lead to a funding crisis for our banks given their reliance on OS borrowing. It’s all nasty, with every page of this Choose Your Own Adventure ending in a priests private rooms (and another Royal Commission). We don’t want to see our lenders dry up because when banks aren’t lending money, you can’t build houses, you can’t grow businesses, you can’t see your export economies grow. Prime Minister said. Household debit always high in every year. How did you do your business? No debit? Impossible! Geordie – that YouTube video is true enough on the basic economic cycles but it doesn’t explain that over the longer period – multiple deleveraging cycles – the rich assert more control of central governments and democracy is tarnished more and more towards plutocratic corruption. This is discussed isn’t it? Perhaps another of his videos? The masses get jack of it and you have a civil uprising and the state is overthrown. No, we sure don’t want to go down that road. We may not want to go down that road but with current levels of central government corruption, obscene wealth disparity, high immigration and rise in overall populism I think it is the road the West is on. Please don’t feed this fatuous troll. If only they didn’t shut the TOYATA car plant, things would be better! well you can really cut if you didn’t put them up, especially if your below the neutral rate and certainly if the BBSW is still up. 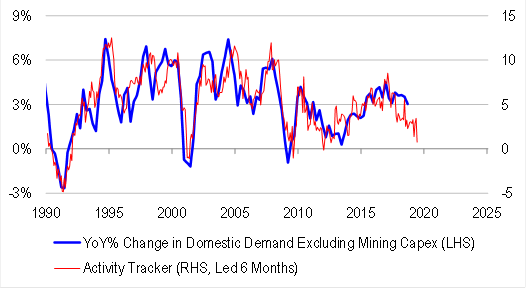 Not sure I follow why nobbling the RC matters to whether the RBA lowers rates or not? We’re pretending that the credit tap will be turned on so far as to make the previous loose lending look like the height of responsibility. House prices will return to double digit growth, consumers will start buying endless shyte with Equity Mate and the country will be saved from the great reckoning we’re already neck deep in. Yes and that is fundamentally true right? IRs down, borrowing up. IRs up, borrowing down. Suggesting that the RBA is keeping rates (relatively) high because it’s struck a deal with the government is akin to saying that the RBA and government are going to let prices crash and hang the big 4 out to dry. Fine. But then someone has to pick up the pieces. House prices will continue to crash if the cash rate is not lowered, the big 4 (or 1 or 2 of them) will go insolvent and what then? The RBA buys all of the assets at deflated prices, writes down the loans and rolls it all into some kind of commonwealth banking institution? 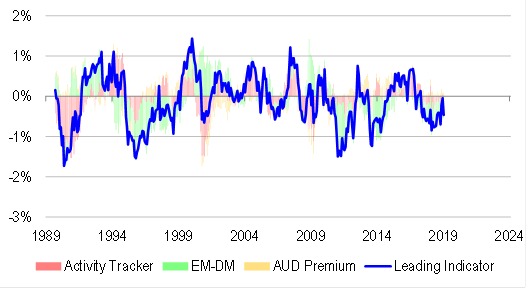 The Ozzie economy still looks like a basket case to overseas lenders and we can’t expand credit at anything close to the last 20 years, unless we actually start producing, which is highly unlikely. As Martin North explains, credit is still expanding and the Govt. is saying we’re in a credit crunch? Yeah, the stimulus required to bring back the bubble would be off the charts. Yes, I get the stimulus required to bring the bubble back will be off the charts but the flipside is that the crash will likely gather momentum and become off the charts 1890s style. So, a rock and a hard place. Credit may be slowly expanding still but it won’t take long until that dries up – another 5% house price falls. And let’s not forget all of those boomers hoping to retire on high house prices – when they either start selling at a loss or holding for a tomorrow that is not coming, credit will restrict further. I just don’t get what the RBA gains by leaving IRs as is – I’m not personally vested, I just don’t understand the logic of how knowing the RC findings effects the RBAs cash rate. So they can screw the innards from savers, whom the prayer group at the RBA absolutely detests. There was analysis on the ABC from some banking guy saying they don’t need our deposits. That maybe true given high asset prices, though they are falling, but will they adjust the reserves like they are supposed to? Don’t need our deposits??? Bwahahaaaaa That is a non-sensical statement. You might get such a stupid statement from someone who doesn’t understand macro at all let alone macro dynamic. He’d have to presume that any money lent out ended up as cash and was hidden under the mattress and not spent. They could borrow from overseas for a short time till the whole system crashed. What in fact would happen would be that an even higher percentage of the funds loaned would end up in the Current account deficit. So if we didn’t monstrously (how? above the present?) ramp up asset sales to foreigners the A$ would crash and IR’s would go to the moon. In any case it was a really really stupid statement and the ABC interviewer should have been all over it – but they wouldn’t be. [Bank stocks continued to fall on Friday as new data shows hedge funds are piling in to short the sector ahead of the final report and recommendations from Commissioner Kenneth Hayne which was submitted to the Governor-General on Friday morning. But I guess it means a lot of downside is being priced in. If RC report is not worse than expected, bank stocks will go up on Tues! Lol, spot on Arrow. And just for icing on the cake, the poo to 75! Must cut to save the losers. Kobi Boaran bought an entire 12 unit apartment block in St Kilda East in inner Melbourne with his business partner at the height of the property market with a plan to renovate and sell. But when they were ready to sell just seven months later, the market had come crashing down. Entrepeneur Andres Vargas, 29, has spent ten years investing in property and agrees the market has turned sharply in the last 18 months. “Everyone pretty much said, every seven years, seven and a half years you’d see your property doubling,” the Sydney resident said. I can’t find any good opportunities anywhere in Sydney in terms of growth,” he said. Genius who thought encouraging unsustainable growth in debt was a great idea now thinks we need to cut rates to ward off all those sleepy chickens coming home. I guess we should keep listening to them, they’re due to pay out. I’ll just put this last 50 in because I’ve got a feeling about this one. Wow our little Aussie Slapper finished the week on a strong note.